Disasters happen and nothing can be more frustrating than not knowing what to do when you face a plumbing emergency that could cost you thousand of dollars in damage and repairs. 1. Immediately locate your main water shutoff valve and turn it off. 2. Check all the water system in your home to see if there are others places where it is leaking or flooding. 3. Finally, call us on the number to your right and briefly discuss what happened, so we can send our emergency plumbers experts to resolve it. 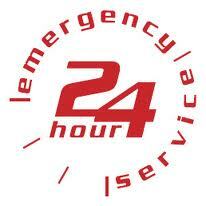 Whether you have a minor or major plumbing emergency, we will take care of it. Our team of emergency plumbers experts are all fully qualified and have been in the plumbing business long enough that we've seen most things before. We’re available 24 hours day, 365 days a year so that you can be assured that whenever you call we'll always be available during an emergency. Have a peace of mind knowing that we are always at the end of the phone. Contact us now to have our emergency plumbers experts immediately come out and address your emergency plumbing problems.